When our docents explain that the Trump International Hotel & Tower reflects its surroundings, they aren’t only referring to its shiny glass and steel exterior. The building was partially open to the public while still under construction. 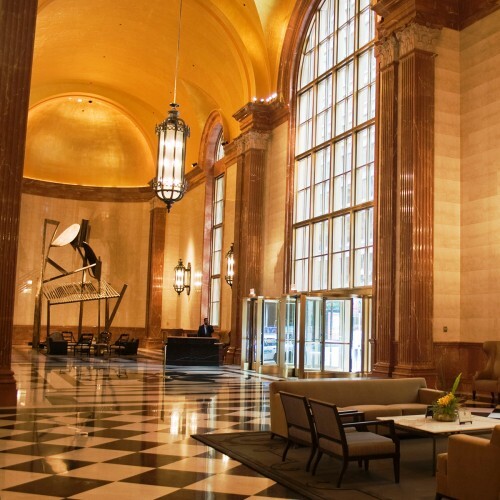 Designed as a multiuse space, the 92-story building contains luxury condominiums, a world-class hotel and space for riverfront retail and restaurants. The building is seated on a massive concrete base and 110-foot-deep concrete caissons. 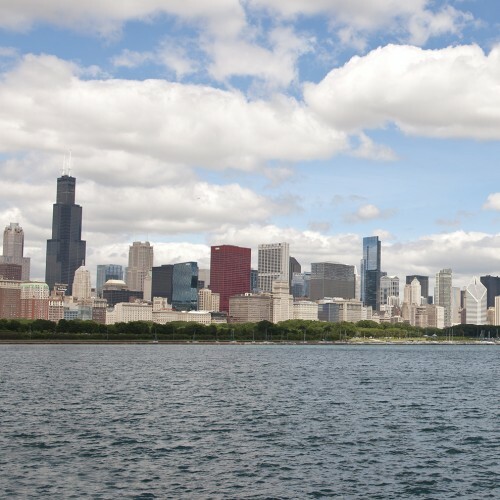 In December 2014, the unfinished penthouse broke Chicago records by selling for $17 million. 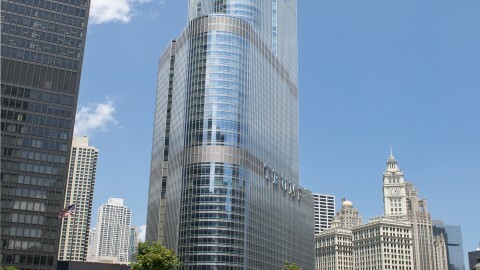 The Trump Tower uses Chicago River water to cool the building. The cooling system recirculates water back into the river, avoiding the costly pump and tower system that would traditionally eject water vapor from the roof. 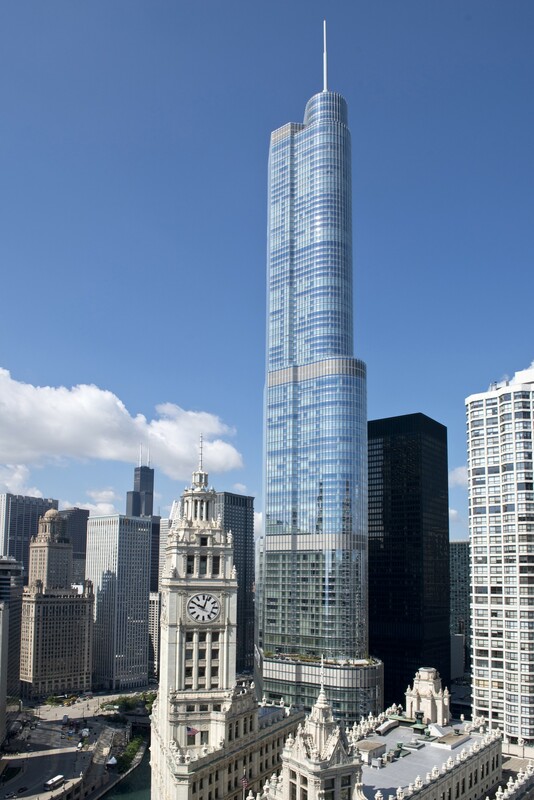 Trump Tower’s irregular shapes and asymmetrical massing exemplify a free form trend in 21st-century design. The reflection they’re referring to isn’t only a literal one. 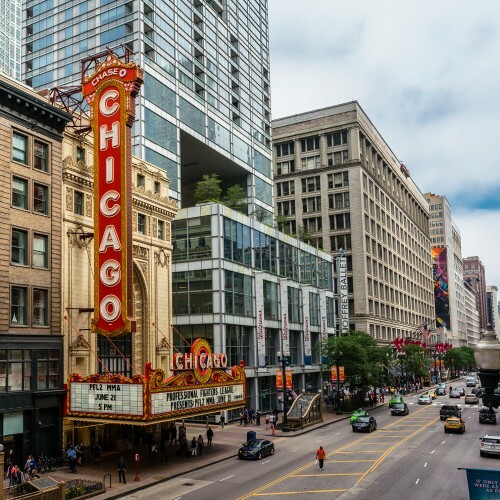 When the Chicago architecture firm Skidmore, Owings & Merrill (SOM) envisioned this contemporary tower, the building’s place and neighbors influenced its design. 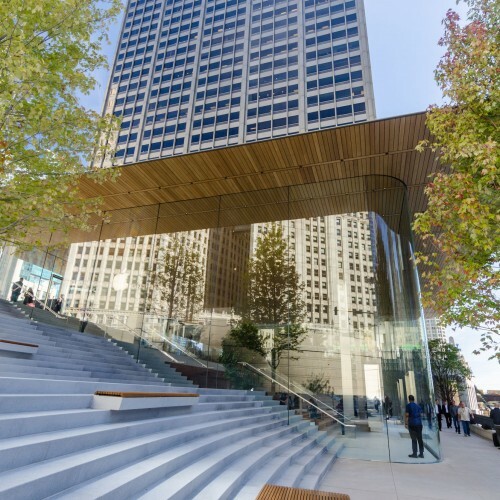 While it is true that the building’s materials mirror its neighbors, it can also be argued that its design communicates its relationship to them. 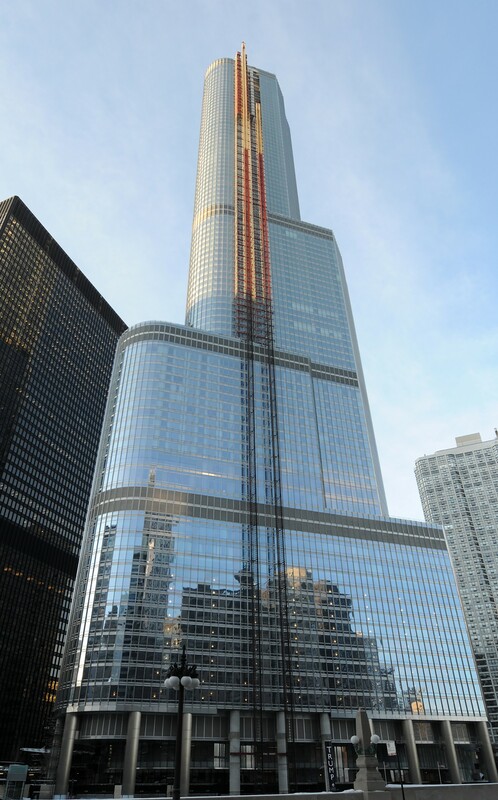 The Trump Tower is designed with three setbacks. Each setback points toward an architecturally significant neighbor. The setbacks allow for "communication" with surrounding buildings. 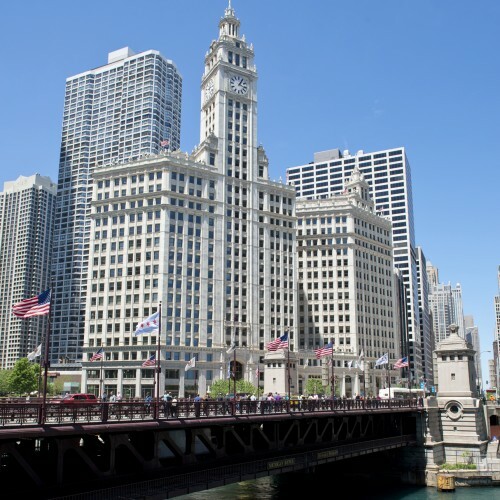 At 16 stories, the first is to the east of Trump Tower and corresponds to the height of the Wrigley Building. At 29 stories, the second points both north toward River Plaza and west to Marina City. 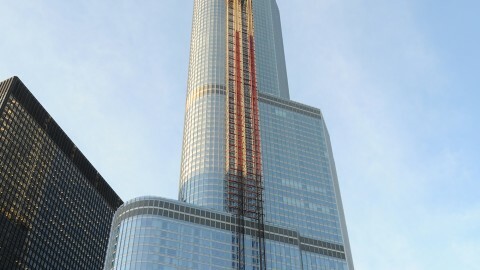 All the way up at 51 stories, the third setback is west of Trump Tower and relates with Mies' last Chicago project, 330 N. Wabash Ave.
What I love most about the Trump Tower is how it is placed in context with its surroundings. The setbacks provide visual continuity with the buildings around it. 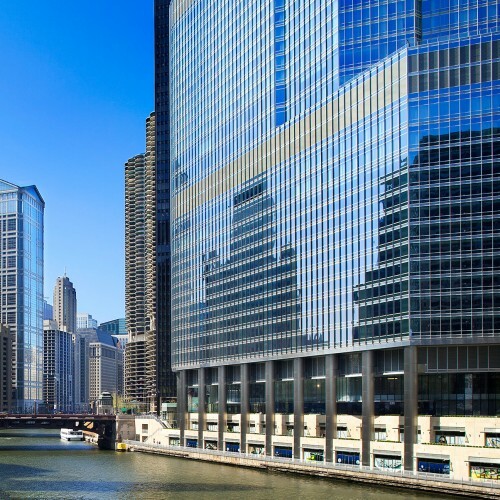 And its rounded edges and colored glass reflect the fact that it sits on the Chicago River. 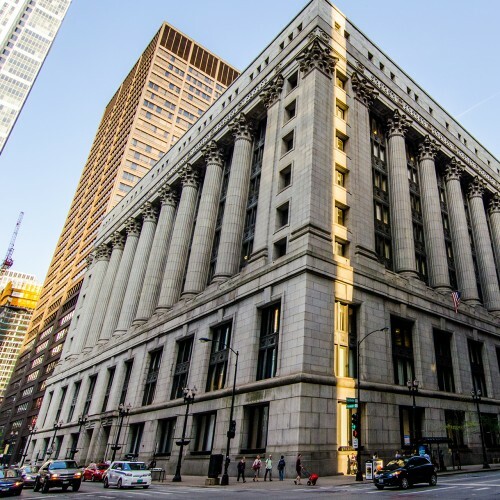 SOM’s attention to the building’s location and architecturally significant neighbors wasn’t what earned the firm this commission. 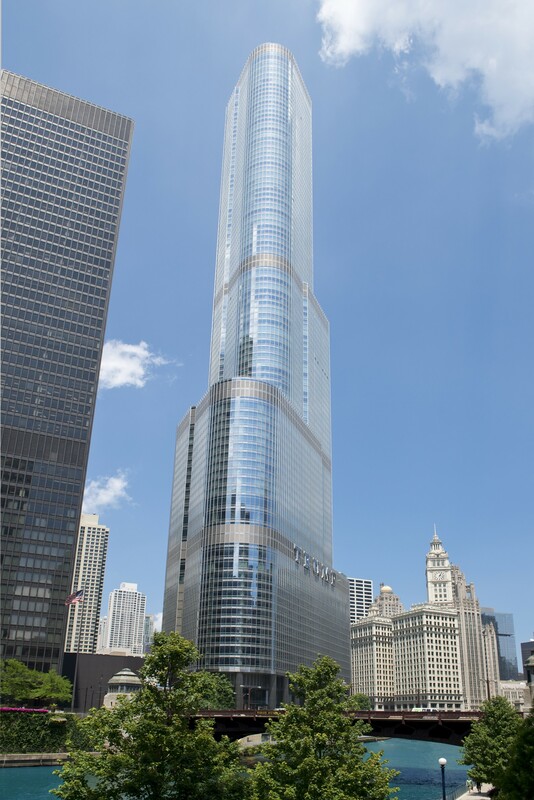 The Trump Organization originally considered three architecture firms for the project: Lohan Associates, Kohn Pedersen Fox Architects and Skidmore, Owings & Merrill. 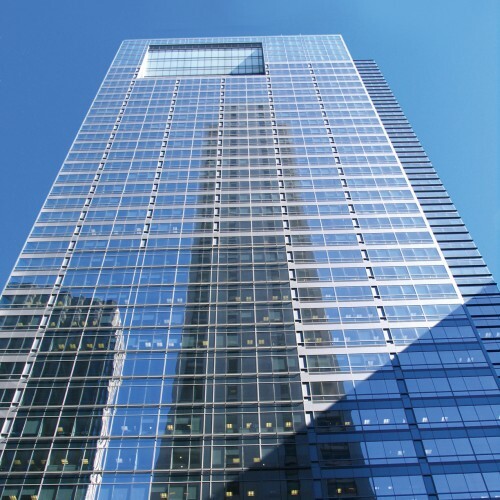 But it was SOM’s experience building tall towers in the U.S. and abroad that cinched the deal. 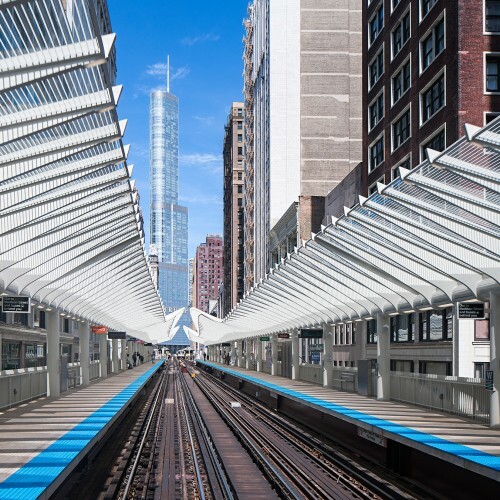 The firm was, and continues to be, an innovator in structural design throughout the world. 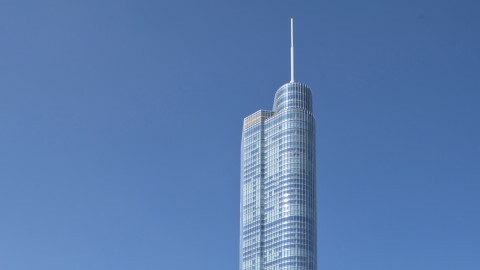 To enable the Trump Tower to withstand Chicago’s punishing wind loads, SOM used a concrete structural system often referred to as core and outrigger construction. The building has a central core of concrete with concrete arms (outriggers) that reach out across several key floors. The outriggers connect its central core with an exterior ring of structural columns. This method—also used in the Burj Khalifa that was designed by the same SOM engineers—allows for design flexibility and structural strength.